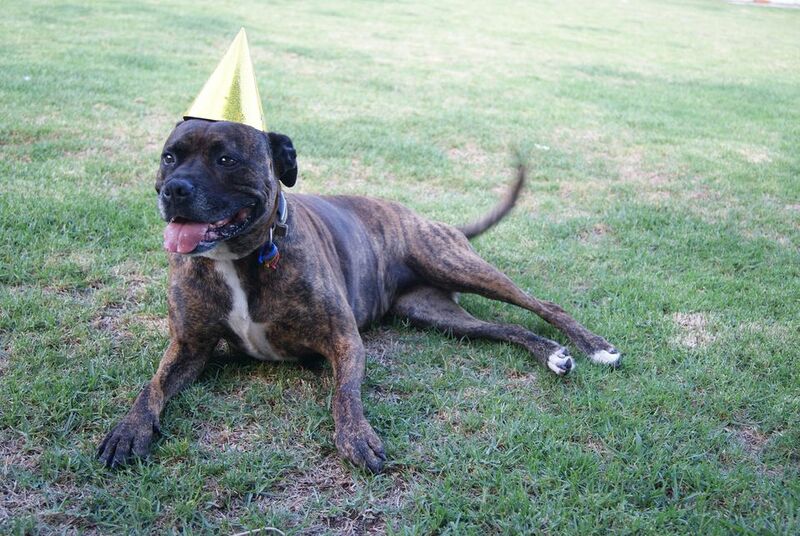 Throw the ultimate party for your pooch and show them how much you care. Not sure where to start? Don’t worry. From party games to gift ideas and – of course – dog-friendly birthday cake, we’ve got everything you need to have a howling good time. First things first, the guest list. It’s important that your four-legged friends are comfortable spending time together. So if you’re inviting someone new, arrange a meet-up beforehand to do the introductions. If your dog is a sociable sort and your back garden isn’t big enough to accommodate, head to the local park with a basket of toys for a puppy picnic. Wherever you decide to host your celebration, spread the word nice and early with dog party invitations – simply get your pooch involved after a muddy walk and let their paws take care of the card design. Well, it wouldn’t be a party without cake. From healthy dog birthday cakes to peanut butter mixes, you’ll find plenty of dog-friendly recipes online. Don’t have time to get busy in the kitchen? With just a few clicks on the web, you can arrange dog birthday cake delivery from pet-friendly bakeries across the UK. We like the look of the pies and pupcakes from Four Legged Fancies and with flavours ranging from Bangers N Mash to Chicken Pie, we think our canine pals will like them too. Get the party started with some dog-themed tunes. Welcome your guests through the door to the sound of ‘Who Let the Dogs Out’ by the Baha Men and ‘Hound Dog’ by Elvis Presley. ‘Puppy Love’ by Donny Osmond is another classic for your pup-themed playlist. We know all about what the best music for your pups is – check out our Eurovision-themed playlist for some reggae and soft rock inspiration that will chill any birthday boy or girl out. With the music playing in the background, keep your fluffy guests entertained with a selection of party games. Set up a mini obstacle course in the garden with jumps, cones and a tunnel, and see who gets the fastest time. If you want to get the human guests involved, organise a treasure hunt with a squeaky prize for the winning team. Round off the afternoon with a good, old-fashioned game of fetch – a crowd-pleaser every time. For the perfect gift ahead of the big day, treat your pooch to a new party collar. From smart leather to pretty glitter or even one with a bow tie, find the look that suits your pup and make sure they look the part. For something really special, check out Notonthehighstreet.com – they have over 400 collars to choose from, including personalised designs. 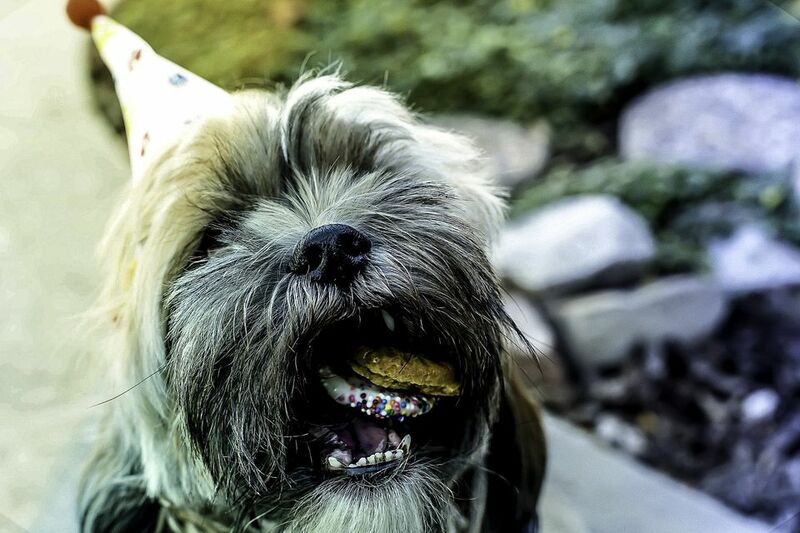 Whether you’re celebrating a first birthday or a teenage milestone, your dog will have the best day ever with these pawsome party ideas.